For those who follow my writing here, you know my admiration for the DC-3/C-47 has never been higher. Those who join me in loving these great old warhorses and passenger liners know there is something about this make/model of aircraft that elevates them beyond simply vintage status. When I heard that the crew at thelasttime.org was organizing a massive formation flight of DC-3s and C-47s into Oshkosh for opening day of the 2010 Airventure Airplane Bazaar, Camp Out and Brat Festival, I instantly knew I had to be a part of this adventure. But how? It was the summer of 1979, and the crew of a supermodified open wheel race car invited me to the infield of Madera (CA) Speedway to attempt to capture their car on film. The images turned out like the perfect racing shot you always see, stop-action capturing the car so clearly you can read the small print on the logos while the crash wall whizzes by as a blur in the background. Everyone was so crazy about these shots, they egged me on to send them to a little West Coast racing rag, and they used every shot! I had written a couple of long creative sentences for each shot as cutlines, and in a detour from their usual design, they ran the photos with the extended cutlines. And then they asked for more. One day I get a call completely out of the blue, it was Chris Economaki. If that name rings a bell, he was all over TV and racing trade papers back in the day, and was Publisher of the National Speed Sport News, the sport's leading paper. He asked if I'd be interested in covering the Portland Indy car race at Portland International Raceway in Oregon. I jumped at the chance. And soon, I was sitting across a table in the media room with (not lying here) Mario Andretti, Rick Mears and Emerson Fittipaldi, waiting for me, the correspondent for the most respected racing paper in the land to ask THEM questions. It was, until this week, the high point of my 30+ year journalism career. Back to the DC-3/C-47 mass arrival and formation flight. As the organizers fed me inside information for this historic and mammoth effort recently, I began to think of ways to be on one of these flights, to make a little history, to create one of those grand hangar flying stories I get to tell my grandkids years from now. It soon hit me that I DID know one of the owners/movers/shakers of a DC-3, Mitch Carley, the creative mind behind Duggy. You have smiled yourself watching the big yellow "Smile in the Sky" entertain everyone at Oshkosh and around the nation. O.K., at least that was a place to start. Carley has known for a while that I hold Duggy in very high esteem. I have told him point blank that no other aircraft on this planet does more to bring kids into aviation than Duggy, and I respected that. I have posted at length many times about how all aircraft have a soul, and of all flying machines, maybe the DC-3/C-47 has the most personality of anything flying. I know this is true because I swear that for the brief moment I stood inside Duggy at an Airventure a few years back, you could feel the pulse of this magnificent ship. The stories these old planes can tell, the battles they have waged and won, the weather they have flown through to bring their pilots and passengers home safely...you can feel all that buzz inside Duggy. So I made an offer to Duggy's owners...simple but sincere. I will document the formation flight for them on the house and report what I see to the world as best I can in return for access to Duggy for the flight. I wanted to be inside the coolest ship in that 40-ship formation when the skies over show center at KOSH darken and the sound of EIGHTY huge radial engines create the most beautiful melody of symphonic airplane noise ever organized. People often say I get way too wrapped up in aviation, that I make more of it than is required. I say that is complete rubbish. We only go through this thing called life once, and in that time, we must make our own way. 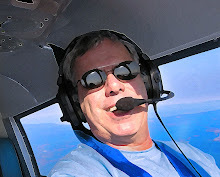 A serious love of aviation chose me, and like hundreds of thousands of aviators, it is my calling, my life's work. I want my aviation legacy to be one of giving back, of making a difference. That's why I am both humbled and stoked to get to spend time with Duggy and his crew, and write about it where ever I can. 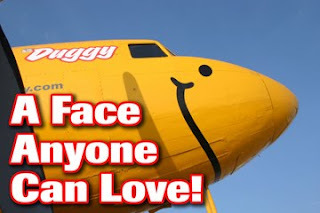 The whole Duggy concept is equally brilliant and infectious, and imprints a love of aviation on young minds in a way no other flying machine can. Through my involvement with this flight, if I can get more kids to discover the Smile in the Sky and have their dreams of flying come triumphantly to life, I will have done my job. So watch this space for some future Duggy stories as I delve into the backstory of how this wonderful yellow machine came to life...because it is a fantastic tale and I promise a good read. 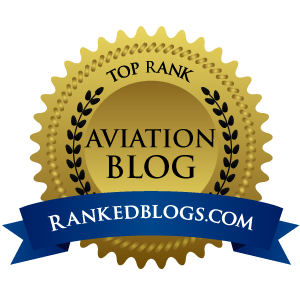 And then, from the time I hit Fargo and hook up with Team Duggy to the time we go wheels down on rwy 36 at KOSH, I will be burning up Twitter, Qik and this blog covering this gigantic flight like no other. It is the chance of a lifetime...and this is going to be a wild ride. Please accept an invitation to join me and together we can get to know the friendliest aircraft ever. My goal? Be the one place on the web that people want to go to read about this formation flight of legends. With your help re-tweeting and sending the URLs out to the world, we can collectively draw major attention to what Robert Odergaard, Tim McPherson, Rob Challans and Carley do with Duggy. Together, we can make dreams happen.